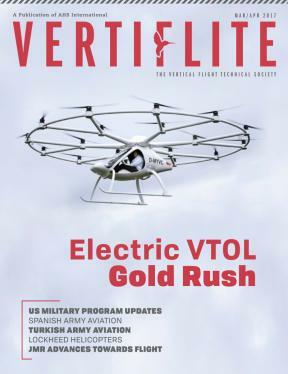 Vertiflite magazine, published bi-monthly, is the official publication of the Vertical Flight Society. Get in-depth insight into the latest developments from the world’s leading magazine on vertical flight technology. Vertiflite is included with VFS membership. Society members can download all issues at no charge; non-members can purchase copies for $50.00 each (with lower prices for older issues). We have all 60+ years of Vertiflite online! Browse by year or search our comprehensive index of Vertiflite articles. Magazines since 2011 can also be read online by VFS members after logging in.